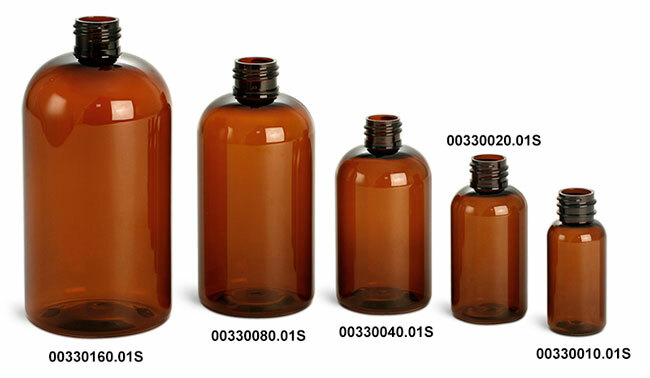 Amber PET plastic bottles accompanied with black polypro disc top caps. 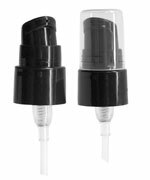 These smooth black disc top caps offer easy dispensing for many products such as lotions, soaps, and shampoos. 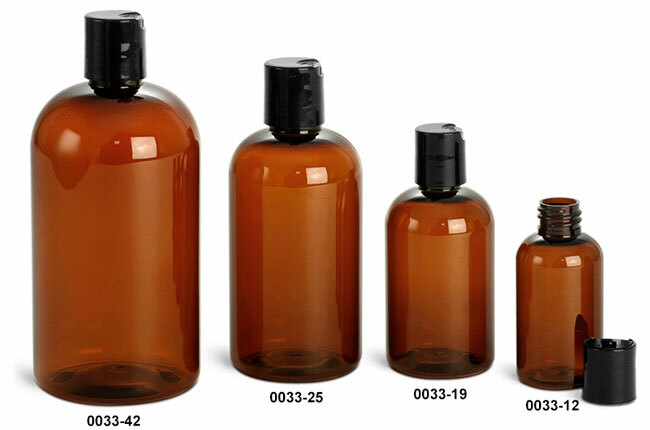 The amber boston round bottles come in various sizes all provided in bulk quantities to suit your needs.